Ace-Images.com : Relax In The Sun. or go to our links page. 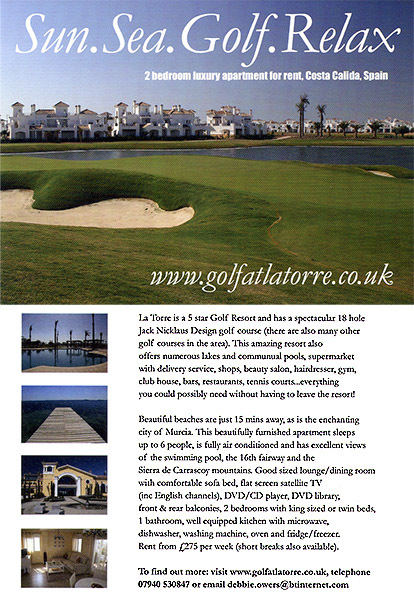 La Torre 5 Star Golf Resort. Beautiful beaches are just 15 mins away.